The ultimate in sympathy spray design arranged by hand by our professional florists. 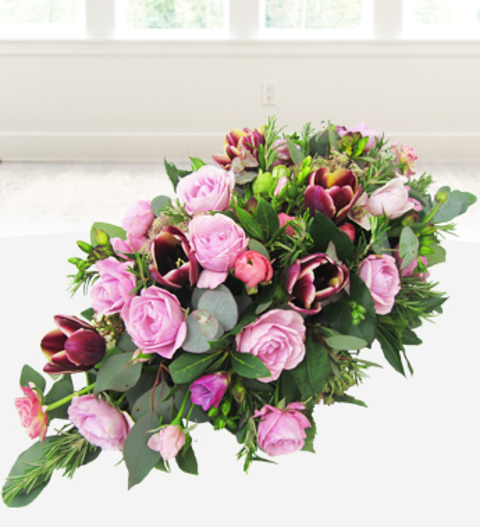 A memorable spray delicately crafted in shades of pink and purple, including exquisite pink avalanche roses, lisianthus, eucalyptus and complimenting forest greens, this makes a special tribute. All funeral arrangements are hand delivered direct to the funeral. Please get in touch for specific arrangments.